It seems that people like cocktails! And that many get very thirsty. Sipping cocktails at home with their friends as a backdrop to their party. We think that’s a good thing! It’s what has helped us build our business. 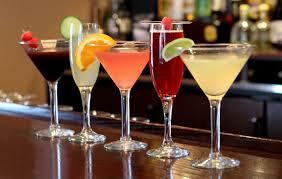 We serve cocktails all around the UK, but we have a strong base in and around Market Harborough, Leicestershire. Well, it’s nearly in Northamptonshire, but that’s a separate subject. We have a team of 4, but frankly we’ve got to a point where we could do with an additional member to join our team. Our business is continuing to grow and we need some more help. We’re looking for someone who can work alongside us on an occasional basis based locally in and around Market Harborough. A few Saturday nights a year is likely. We get enquiries from all over the place including Birmingham, Coventry, Derby, Nottingham, Leicester, Wellingborough, Kettering, Northampton, Milton Keynes, Rugby, Lutterworth, Market Harborough, Oundle, Peterborough, Leamington Spa, Kenilworth and Nuneaton. We do go further afield as requested, but generally most of our work is in this area. You will have an interest in cocktails and mixology and perhaps the ingredients that go into them. You may have bar experience, but it’s not crucial. We’re conscious of the fact that the 2 of us who run the business aren’t from bartending backgrounds! Admittedly the other members of the Cocktail Shaker Boys team are. We can help get you up to speed with the cocktails we make and how we make them. What is more important though is that all members of our team are great with our clients. We are working in their home mixing and chatting to all their favourite people after all, and so we usually become part of the party. Being able to chat with their guests naturally and easily is all part of what we do. It’s frequently commented on and so we know we do this bit well! If you live in the area around Market Harborough and you think that the idea of working the odd Saturday night now and again serving cocktails to people in their home and having a bit of fun, talking about all sorts of random stuff appeals, then get simply fill out our contact page. Or you can e-mail fun@cocktailshakerboys.co.uk.